2007-07-25. Good. Ships with Tracking Number! INTERNATIONAL WORLDWIDE Shipping available. May not contain Access Codes or Supplements. May be ex-library. Shipping & Handling by region. Buy with confidence, excellent customer service! 1970-01-07. New. Ships with Tracking Number! INTERNATIONAL WORLDWIDE Shipping available. Buy with confidence, excellent customer service! 2007-01-17. New. Ships with Tracking Number! INTERNATIONAL WORLDWIDE Shipping available. Buy with confidence, excellent customer service! Routledge & Kegan Paul PLC, 1968-03-31. First Edition. Hardcover. Used:Good. Routledge & Kegan Paul PLC, 1976-12-09. Paperback. Good. 2009-07-11. New. Ships with Tracking Number! INTERNATIONAL WORLDWIDE Shipping available. Buy with confidence, excellent customer service! 2009-07-11. Good. Ships with Tracking Number! INTERNATIONAL WORLDWIDE Shipping available. May not contain Access Codes or Supplements. May be ex-library. Shipping & Handling by region. Buy with confidence, excellent customer service! 1991-04-06. New. Ships with Tracking Number! INTERNATIONAL WORLDWIDE Shipping available. Buy with confidence, excellent customer service! 2007-01-17. Good. Ships with Tracking Number! INTERNATIONAL WORLDWIDE Shipping available. May not contain Access Codes or Supplements. May be ex-library. Shipping & Handling by region. Buy with confidence, excellent customer service! 2010-08-25. Good. Ships with Tracking Number! INTERNATIONAL WORLDWIDE Shipping available. May not contain Access Codes or Supplements. May be ex-library. Shipping & Handling by region. Buy with confidence, excellent customer service! 1989-11-21. Good. Ships with Tracking Number! INTERNATIONAL WORLDWIDE Shipping available. May not contain Access Codes or Supplements. May be ex-library. Shipping & Handling by region. Buy with confidence, excellent customer service! 2015-07-02. Good. Ships with Tracking Number! INTERNATIONAL WORLDWIDE Shipping available. May not contain Access Codes or Supplements. May be ex-library. Shipping & Handling by region. Buy with confidence, excellent customer service! 1976-04-02. Good. Ships with Tracking Number! INTERNATIONAL WORLDWIDE Shipping available. May not contain Access Codes or Supplements. May be ex-library. Shipping & Handling by region. Buy with confidence, excellent customer service! Routledge & Kegan Paul PLC. PAPERBACK. 0710084145 Mild shelf wear. Appears unused. No marking found in text. Binding solid. No creases in spine or covers. Not remainder or ex-library. Packaged carefully for shipping. Ships within 24 hours with tracking. Satisfaction guaranteed!! Sorry, no APO/FPO. Sorry, no APO/FPO. . Fine. Princeton University Press. Hardcover. 0691098972 Hardcover with fine dust jacket. Book is in excellent condition, text is unmarked and pages are tight. . Fine. Analytical Psychology: Notes of the Seminar Given in 1925 . Princeton, NJ Princeton University Press: Bollingen Series, 1989. Hardcover First Ed, unstated. First Ed, unstated. Near Fine in Fine DJ: Book shows only very minor indications of use: just a hint of shelf-rubbing along the bottom edge; fairly heavy foxing at the top edge; former owner's tasteful bookplate at the front paste-down end paper; binding square and secure; text clean. DJ shows only the mildest rubbing; mylar-protected. Virtually 'As New'. NOT a Remainder, Book-Club, or Ex-Library. 8vo. 179pp. Edited by William McGuire. Bollingen Series XCIX. (Jung Seminars Series). Hardback with DJ. Pantheon. Collectible - Good. First edition copy. Collectible - Good. Acceptable dust jacket. First American edition. Writing inside. PANTHEON BOOKS. B0014NIRJ8 1968 Pantheon hard cover - stated First American Edition - slight wear to edge of dust jacket - minor staining to dust jacket and page edge - otherwise cover fine binding strong contents clean - now in mylar cover - enjoy . Very Good. Pantheon. Hardcover. B001QR791E First American Edition, Dust jacket wrapped- jacket price not clipped, clean, has a good binding, name written on the front end page- no other marks or notations. . Good. First Edition. Princeton University Press. PAPERBACK. 0691019185 New Condition. . New. Princeton University Press. Hardcover. 0691098972 New Condition. . New. Pantheon. Hardcover. B001QR791E New Condition. . New. 1991-04-06. Good. Ships with Tracking Number! INTERNATIONAL WORLDWIDE Shipping available. May not contain Access Codes or Supplements. May be ex-library. Shipping & Handling by region. Buy with confidence, excellent customer service! Princeton University Press. Hardcover. 0691098972 Like New Condition. . Fine. 1970-01-07. Good. Ships with Tracking Number! INTERNATIONAL WORLDWIDE Shipping available. May not contain Access Codes or Supplements. May be ex-library. Shipping & Handling by region. Buy with confidence, excellent customer service! Pantheon. Hardcover. B001QR791E Like New Condition. . Fine. Kessinger Publishing, LLC. PAPERBACK. 1430449365 . New. Princeton University Press. PAPERBACK. 0691019185 Special order direct from the distributor . New. Princeton University Press. Used - Very Good. Very Good condition. Very Good dust jacket. Kessinger Publishing, LLC. Paperback. 1430449365 . New. 2007-01-17. Pantheon. Hardcover. B001QR791E 1968 Pantheon Books hard cover - no dust jacket - 8 pages have ink marks - minor staining to closed page edge - otherwise cover fine binding strong contents fine - enjoy . Very Good. Pantheon Books, 1968. First American Edition. Hardcover. Very Good/Very Good. New York: Pantheon Books. 1968. First American edition. Hardcover. 224 pp. Very good, in a very good unclipped jacket. Jacket has toned panels, a touch of edge wear, a sunned spine, and a tear at the rear panel. Pantheon. Hardcover. B001QR791E Clean, unmarked copy with some edge wear. Good binding. Dust jacket included if issued with one. We ship in recyclable American-made mailers. 100% money-back guarantee on all orders. . Very Good. Princeton University Press. PAPERBACK. 0691019185 *LIKE NEW* Ships Same Day or Next! . Fine. Princeton University Press. PAPERBACK. 0691019185 *BRAND NEW* Ships Same Day or Next! . New. Princeton University Press. PAPERBACK. 0691019185 BRAND NEW, GIFT QUALITY! NOT OVERSTOCKS OR MARKED UP REMAINDERS! DIRECT FROM THE PUBLISHER!|0.62 . New. Princeton University Press, November 1989. Hardcover. Used - Very Good. <p>For C. G. Jung, 1925 was a watershed year. He turned fifty, visited the Pueblo Indians of New Mexico and the tribesmen of East Africa, published his first book on the principles of analytical psychology meant for the lay public, and gave the first of his formal seminars in English. The seminar, conducted in weekly meetings during the spring and summer, began with a notably personal account of the development of his thinking from 1896 up to his break with Freud in 1912. 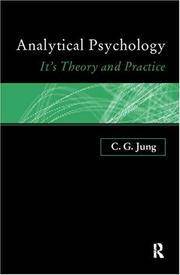 It moved on to discussions of the basic tenets of analytical psychology--the collective unconscious, typology, the archetypes, and the anima/animus theory. In the elucidation of that theory, Jung analyzed in detail the symbolism in Rider Haggard's She and other novels. Besides these literary paradigms, he made use of case material, examples in the fine arts, and diagrams.</p> Very nice clean, tight copy free of any marks. Routledge, 1986-09-11. New. Paperback. Good. Routledge & Kegan Paul PLC, 1968-03-31. Hardcover. Good.